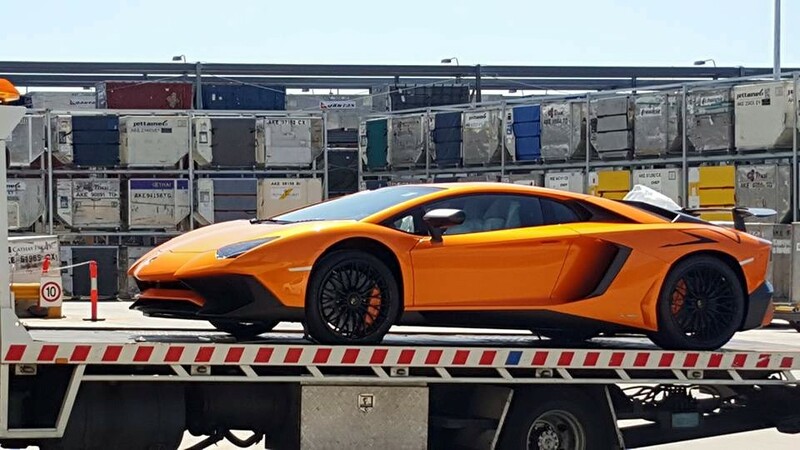 Early October 2015 saw the arrival of three Lamborghini Aventador LP750-4 SuperVeloces in Melbourne! 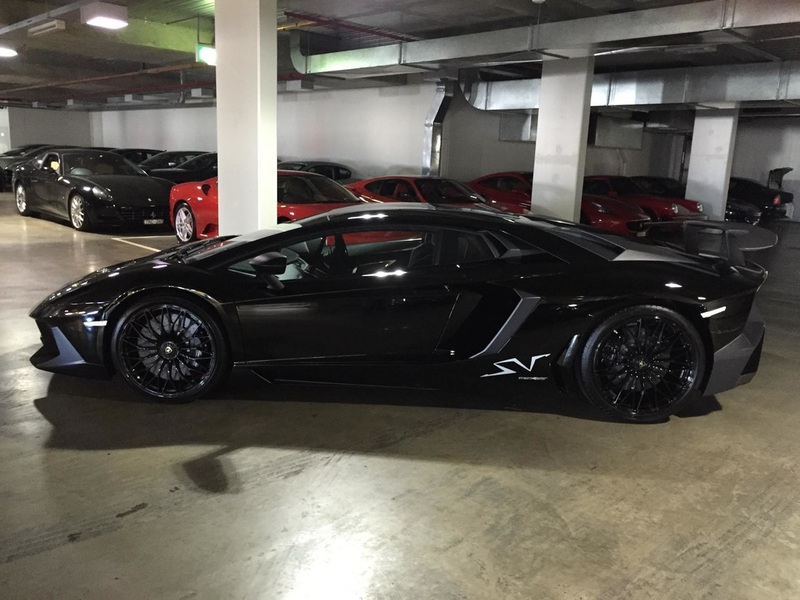 The black one was the first to arrive in Australia and is pictured below the Ferrari showroom in Richmond. 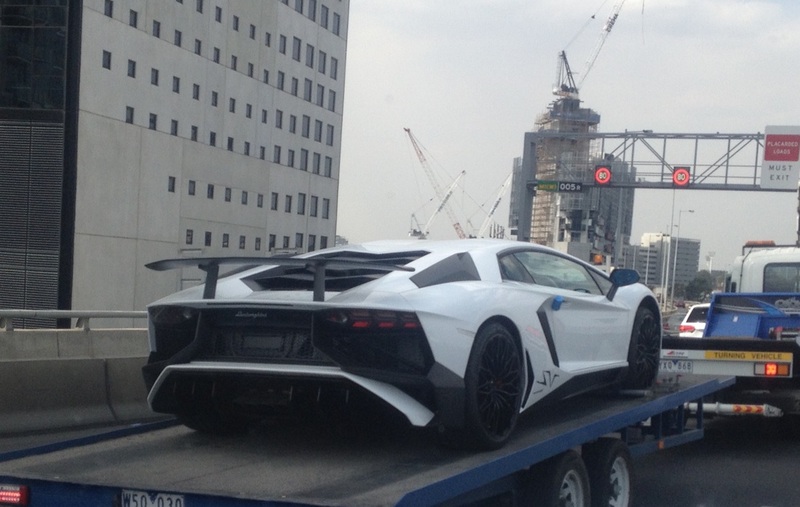 It is currently being prepared for delivery and is expected to hit the roads next week. 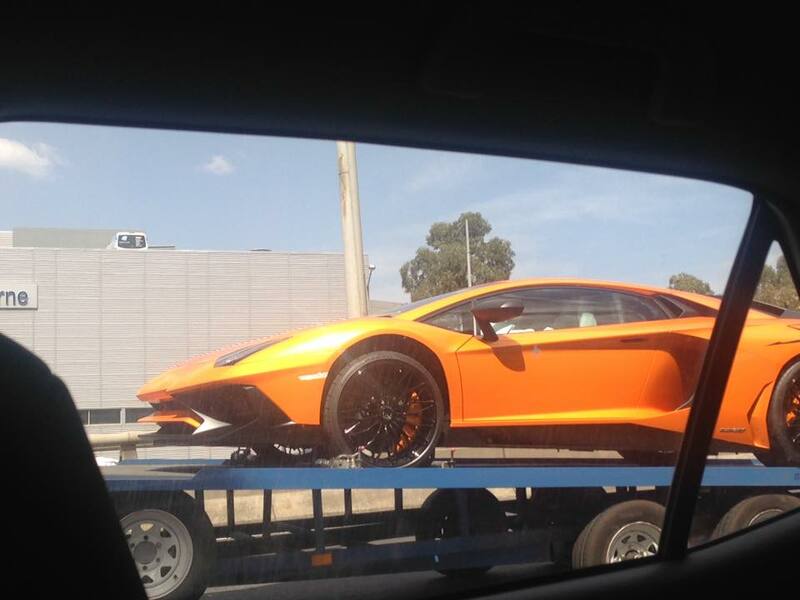 The orange one arrived at Melbourne Airport on October 4. 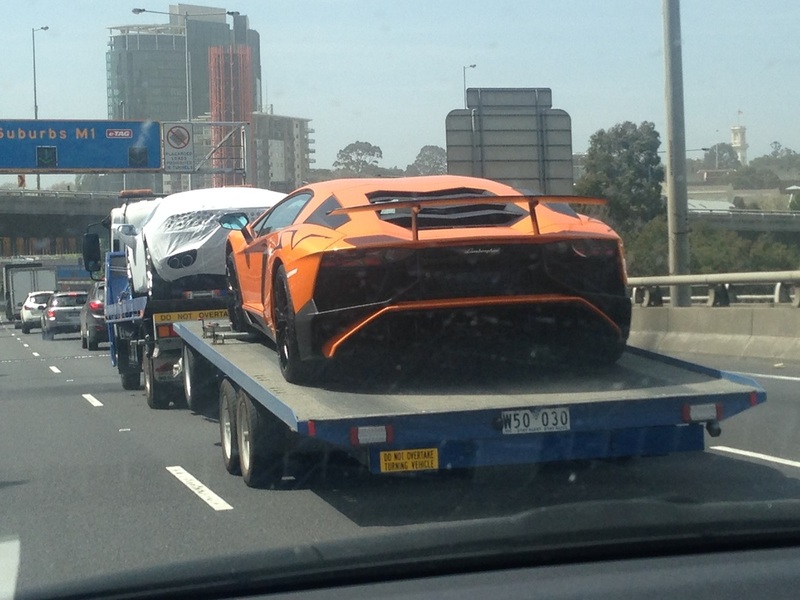 On the 6th it was spotted on a flatbed en route to the showroom on Swan Street, Richmond, via City Link. 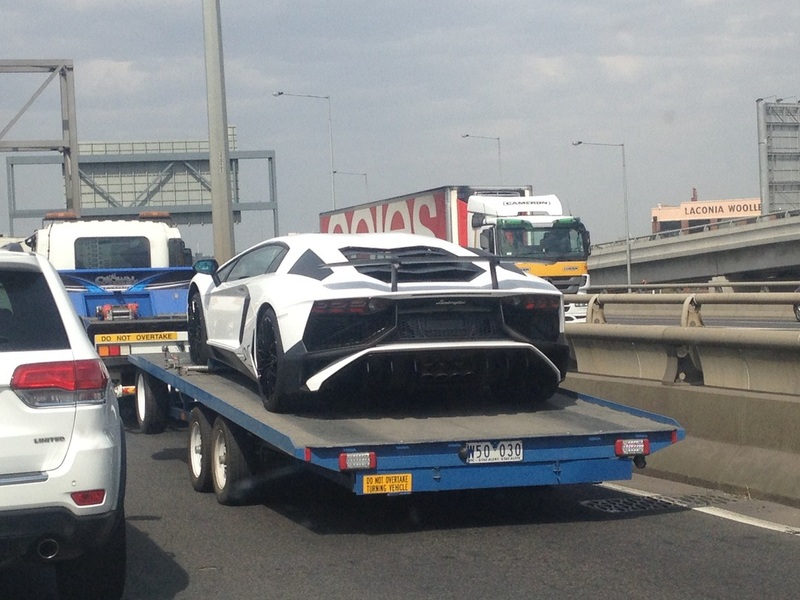 A white one was also spotted on a flatbed on October 6th. 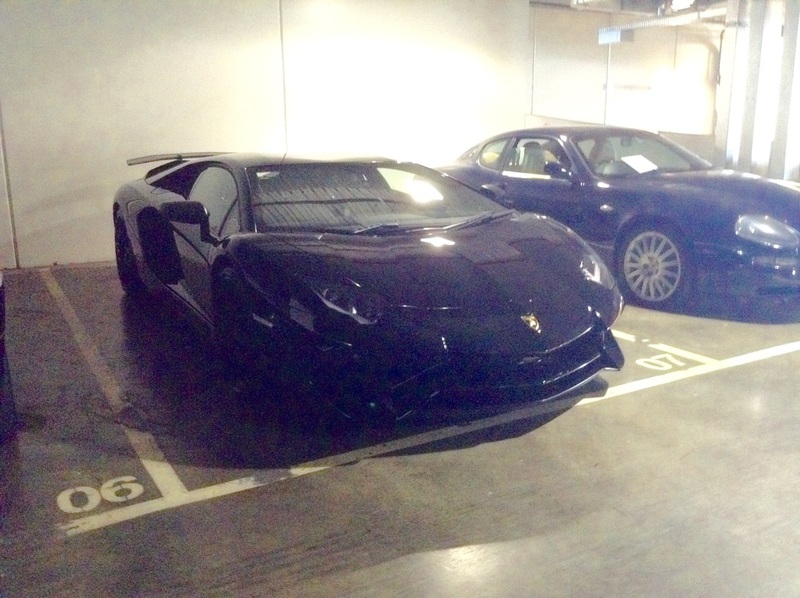 Stay posted for local spots of these two on the streets! 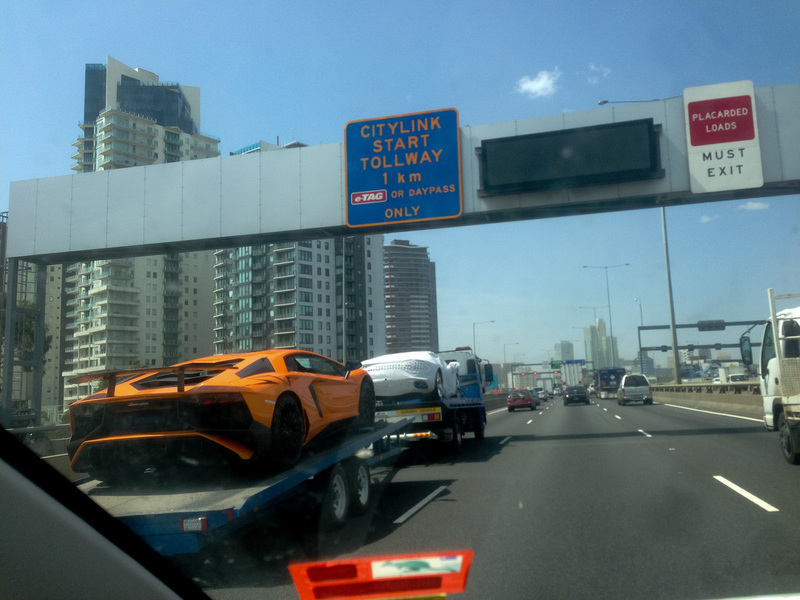 No posts have yet been made of the Aventador SV on Melbourne Car Spotters.